Are you a positive, service-oriented, and reliable person? Do you love books, technology, and helping others? Are you looking for student employment for summer and fall semesters? 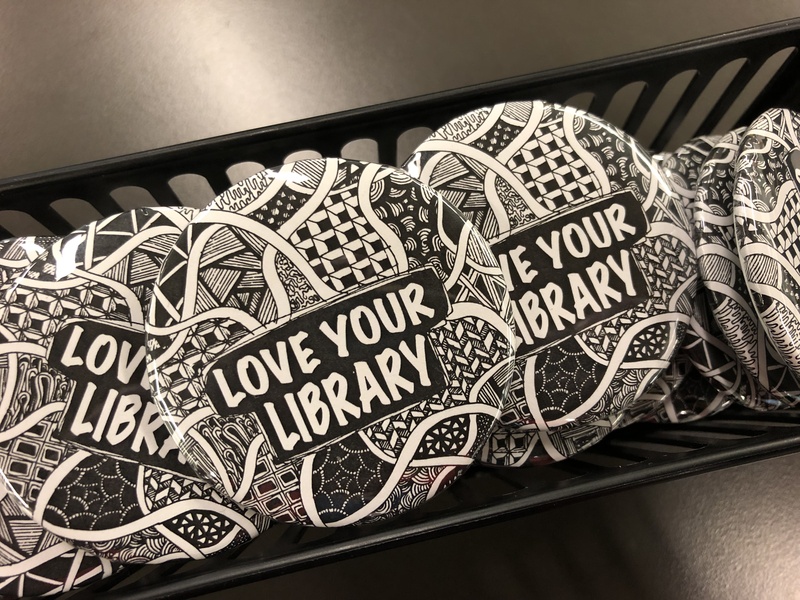 Then, a job at the library may be for you! The UCBA Library is seeking enthusiastic student workers to join Continue reading UCBA Library is Hiring! 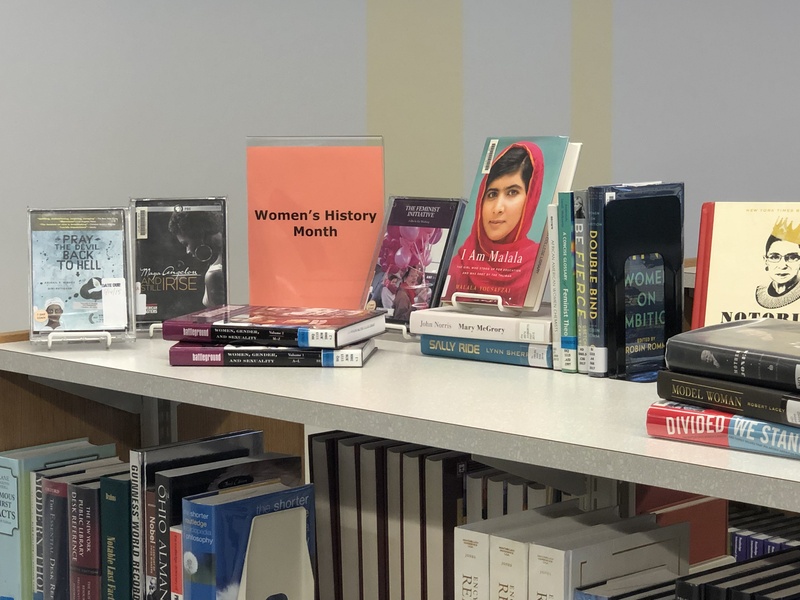 The UCBA Library is celebrating Women’s History Month and the amazing global contributions of women with two different displays! The first display (located in the Reference area) showcases books and media covering a wide range of topics from science, art, business, politics, law, activism, education, and social issues. It also includes UCBA’s Women of the World (WoW) schedule of events. 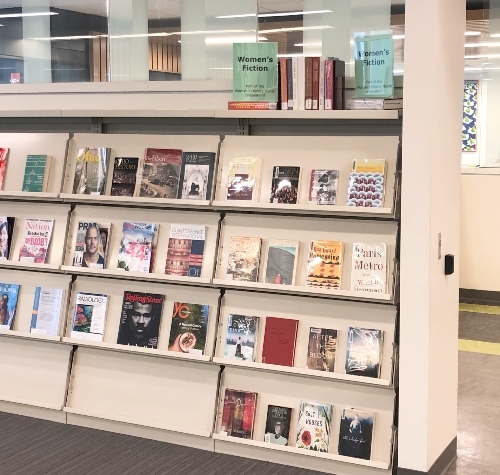 The second display (located in the Journals area) highlights women’s fiction with an array of titles from Amy Tan, Bharati Mukherjee, Alice Walker, Margaret Atwood, Yaa Gyasi, and more. Stop by and borrow a book or DVD from one of the displays! During this workshop, we will discuss the University’s records policy and requirements, benefits you will receive from managing your records, your responsibilities as an employee, and the proper means of records disposal and archiving. Please RSVP at https://uc.libsurveys.com/workshop-registration by Monday, March 11th. If you need a place to get some extra studying done before finals, the UCBA Library is here for you! We will be open special hours on Saturday, December 8 from 12:00 pm – 4:00 pm. Come stop by to work on a project, use a computer, book a study room, or just focus on studying in a quiet environment. The Library will resume regular Fall Semester hours on Monday, December 10th at 7:30 am. This commemorative month aims to provide a platform for Native Americans in the United States of America to share their culture, traditions, music, crafts, dance, and ways and concepts of life. This gives Native people the opportunity to express to their community, both city, county and state officials their concerns and solutions for building bridges of understanding and friendship in their local area. Your UCBA library is sharing a selection of our titles relating to many aspects of Native American life. The display will be available until December 8th and can also be browsed online on the Library Displays at UCBA guide. As we prepare for the holidays and the colder temperatures, please help those in need stay a little warmer this winter by donating to our Spread the Warmth Drive benefitting the Talbert House.